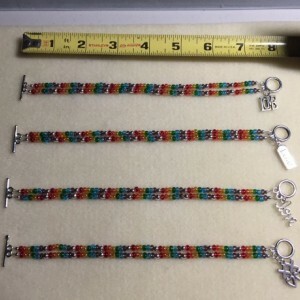 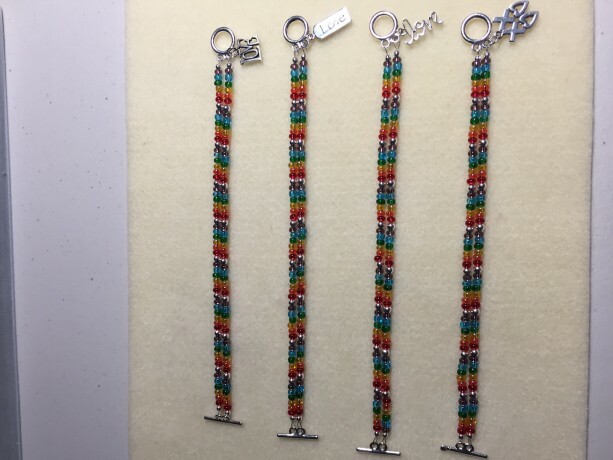 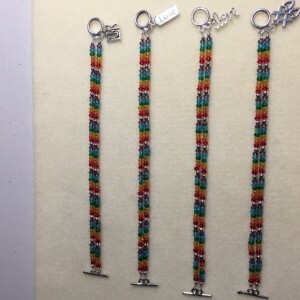 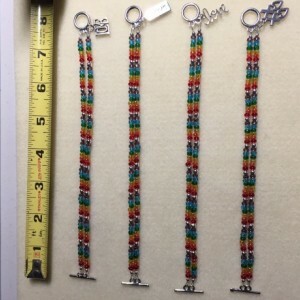 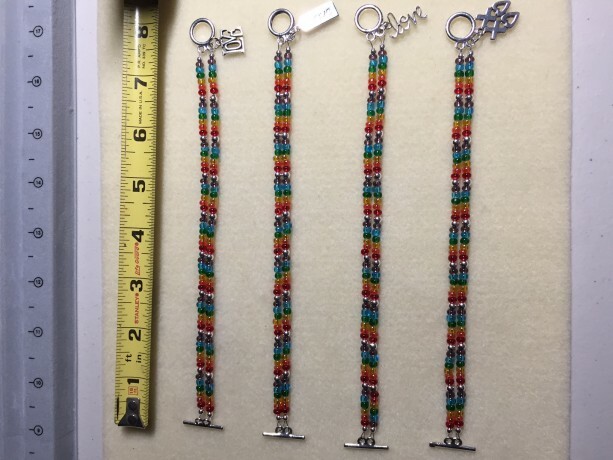 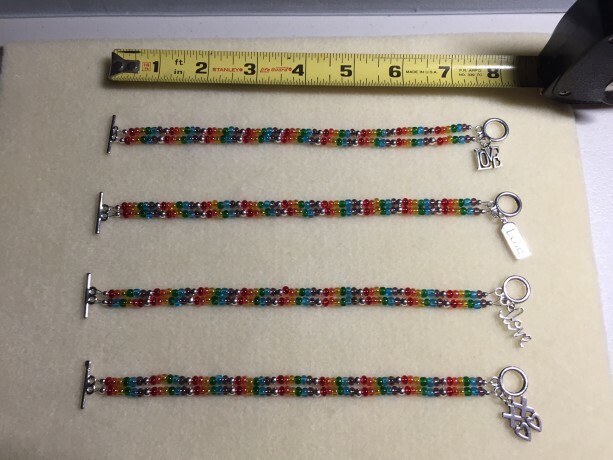 This bracelet has 2 rainbow strands and is accented by beautiful, shining silver findings. 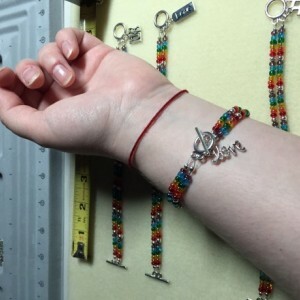 Each one has a symbol of love, and it celebrates the pride and freedom of love. 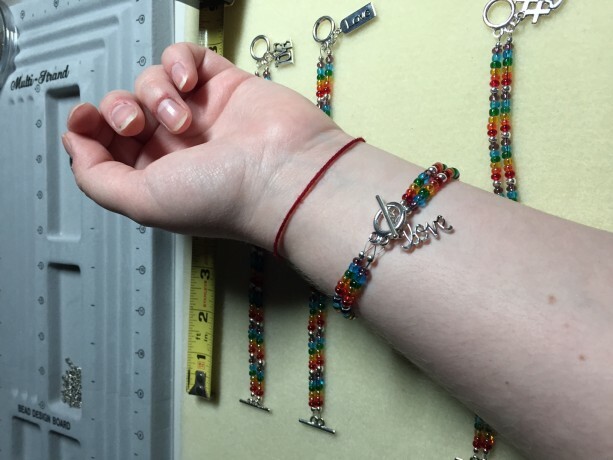 Love has no boundaries and neither does pride month!